One of our Bakers Without Borders and year-long Crumbassador, Yana Doncheva, had a recent project employing the Bread Houses Network methods in Romania in July 2016. During the course of Stella Leadership Programme, conducted by British Exploring Society, recent graduates from universities across the UK participated in a socially significant community project in the region around Sovata, Romania. 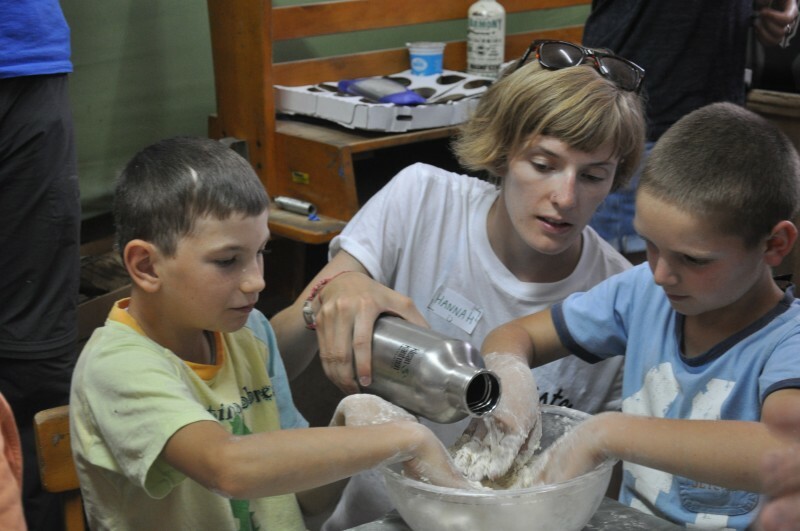 One of the many activities during the Community project day was bread baking workshop for children with different social backgrounds, employing the “Theater of Crumbs” method. The aim was creating better conditions for community building through a shared activity and helping the establishment of long-lasting relations among the diverse children in the community. This entry was posted in Social Projects. Bookmark the permalink.